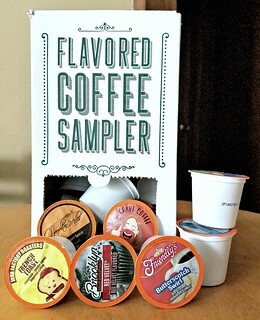 K-cups — MumbleBee Inc MumbleBee Inc.
NO PURCHASE NECESSARY .A PURCHASE OR PAYMENT OF ANY KIND WILL NOT INCREASE YOUR CHANCES OF WINNING . RESTRICTIONS APPLY .VOID WHERE PROHIBITED OR RESTRICTED BY LAW . and valid email account necessary to enter and win. Timing: The Promotion begins on April 1, 2014 at 12:00 a.m. Eastern Time (“ET”) and ends on September 26, 2015 at 11:59 p.m. ET (the “Promotion Period”). For purposes of this Promotion, a day begins at 12:00 a.m. ET and ends at 11:59 p.m. ET. For purposes of this Promotion, a week begins on Tuesday at 12:00 a.m. ET and ends the following Monday at 11:59 p.m. ET, except for the last week which runs from 12:00 a.m. ET on Tuesday September 22, 2015 to 11:59 p.m. ET on Saturday September 26, 2015. Administrator’s computer is the official time keeping device for this Promotion. 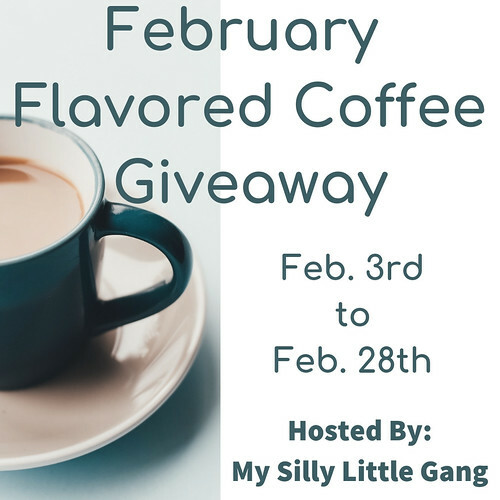 Sweepstakes Prize: ONE (1) GRAND PRIZE: A Keurig® K45 Elite Brewing System, two (2) 22 or 24 count boxes of Keurig Brewed® K-Cup® packs every month for twelve (12) months, and a $500 check. Approximate Retail Value (“ARV”): $1,015.75. Odds of winning the Sweepstakes Prize depend on the number of eligible entries received during the Promotion Period. 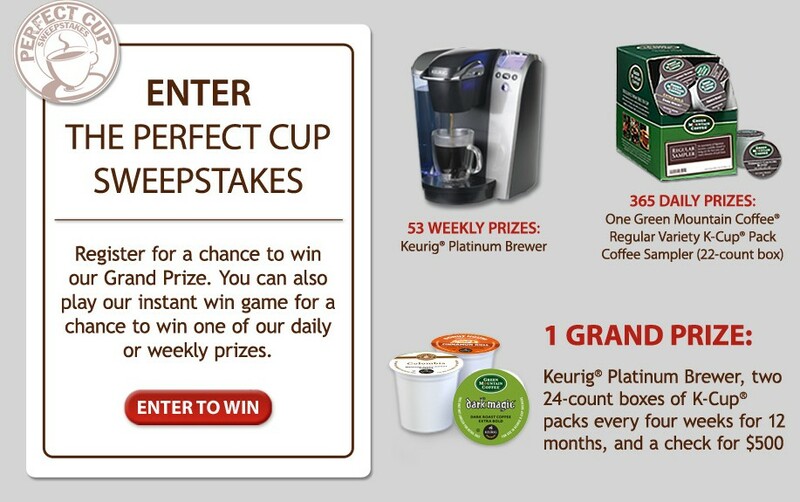 Instant Win Game Prizes: SEVENTY-EIGHT (78) FIRST PRIZES (ONE (1) PER WEEK): One (1) Keurig® K45 Elite Brewing System (Sponsor, in its sole discretion, to determine type of brewer). ARV: $119.99. 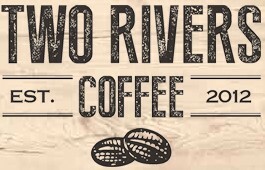 FIVE HUNDRED FORTY-FOUR (544) SECOND PRIZES (ONE (1) PER DAY): One (1) Green Mountain Coffee® Regular Variety K-Cup® Pack Sampler. ARV: $16.49. Odds of winning an Instant Win Game prize depend on the number of eligible Instant Win Game plays divided by the number of prizes available. Limit: One (1) Instant Win Game prize per person.